Do You Need Commercial Air Conditioning Repair Services? For most professionals, their work output is not only dependent on their knowledge and skills; their work environment also plays a huge factor. It’s important that they are comfortable inside the office and something as simple as having a reliable air conditioning system can help out big time. When it comes to commercial air conditioning, this is mandatory for all workplaces. What you have here is a system consisting of air coolers and heaters that’s sizeable enough to manage the air circulating within a larger space; may it be a building floor or a warehouse for that matter. Business owners normally invest in such a system the minute they start work on construction. As mentioned, we at Phoenix AC & Heating Experts employ licensed contractors and these are the professionals that you want to have on your side when it comes to commercial air conditioning repair services. This is because they have been well-educated and have the necessary skills that will ensure that the job is done right the first time around. Working with licensed contractors, you can also rest assured that you won’t have to spend more than what’s needed. At Phoenix AC & Heating Experts, you get quotations up front and all projects will only move when you approve of the expense lists that have been prepared, presented, and thoroughly explained. Considering how a commercial air conditioning system consists of different machines and parts, it’s understandable that these parts will eventually start to break down or stop working. The problem is that when they start to show signs of wearing and tearing, people will surely start to notice the change in the air quality. During the cooler months, the heating system may not be able to regulate temperatures as desired. During warmer months, the system may also fail to keep the entire workplace cool enough. It’s also common for there to be cold spots and warm spots throughout the building floor, for example. Nevertheless, there’s no need to worry because there are reliable professionals that you can contact should you ever need assistance when it comes to system maintenance or commercial air conditioning repair services. 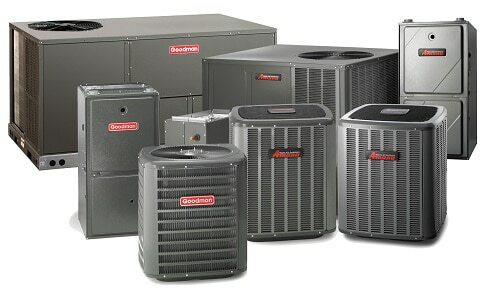 If you’re in business in Arizona, there’s Phoenix AC & Heating Experts. Phoenix AC & Heating Experts has been in operations since 2002 and we have continuously provided quality services and great value to our customers. This is why we’ve been around for so long and continue to thrive. We also have accredited partnerships with renowned manufacturers including Carrier and Trane. Unlike other service providers, you can avail of emergency AC services from us at Phoenix AC & Heating Experts. This means that our team of licensed technicians can assess system issues and deliver solutions swiftly; not causing you to lose any more time than necessary. Services are rendered within the day or completed the following day, depending on when you give us a call. At Phoenix AC & Heating Experts, we believe that every second matters; because when it comes to something like air conditioning or heating, there really is no time to waste as a faulty system can immensely affect people’s productivity in the workplace. No short cuts are taken here. And if you ever find the need for aftercare assistance, even customer service prior to making a transaction, you’ll have access to a 24/7 hotline also manned by professionals. This way, you get all of the answers that you need to be able to make an informed decision. If you ever find a need for services other than commercial air conditioning repair, do know that we can also lend you a helping hand. Isn’t it convenient having everything you need under one roof?